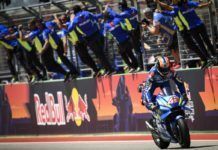 Open class rider Aleix Espargaro set the best time in the first MotoGP Free Practice of the Spanish Grand Prix that takes part in the circuit of Jerez. The MotoGP first practice of the Spanish GP saw Aleix Espargaro finishing with the fastest time. He also finished as the best Yamaha and improved Jorge Lorenzo’s race best lap record from last year. Marc Maquez took the early lead of the timesheets, but his teammate in Repsol Honda Dani Pedrosa improved his time minutes later. Valentino Rossi was third, followed by Aleix Espargaro in fourth. Cal Crutchlow, who didn’t race in the Grand Prix of Argentina due to an injury, decided to test his shape in this practice. With 28 minutes to go, a big part of the riders were in boxes to make changes in their bikes. Jorge Lorenzo had a difficult start to the session and he was ninth. 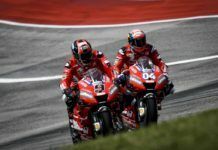 Lorenzo tried to climb through the timesheets and he was fourth, just behind Aleix Espargaro, with both improving their times. 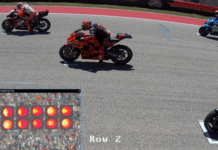 Marquez tried to beat Pedrosa’s time, but the championship leader kept losing time in the last sector of the track and was 0.008s slower than his teammate. 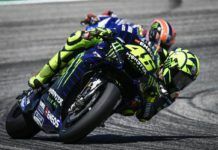 Rossi improved from fourth, just behind Lorenzo. 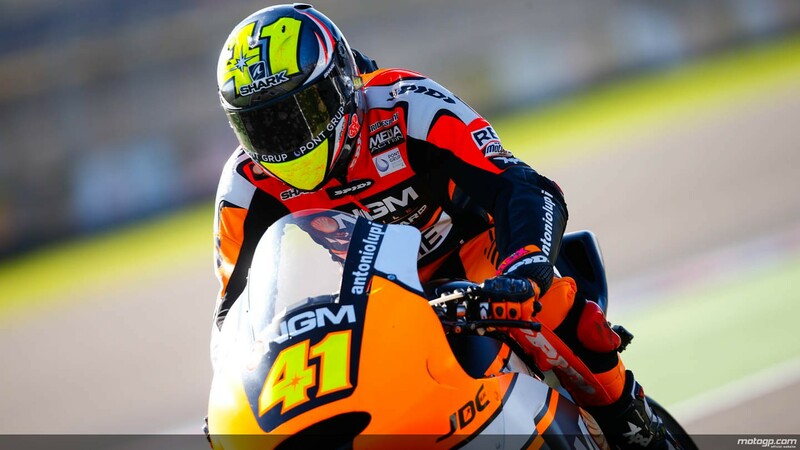 Aleix Espargaro lost ground in the timesheets until he beat his best time and moved to third place. Lorenzo was beating Pedrosa’s time with 10 minutes left on the clock and he finally set the best time of the session so far by one tenth and a half. 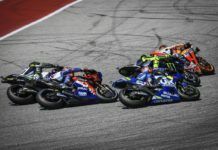 With several red sectors in the timming, Aleix Espargaro, with the extra soft tyre reserved to Open bikes, improved Lorenzo’s time in two tenths when Andrea Iannone suffered a crash without consequences for the rider. The older Espargaro beat his own time and set a 1:39.357. In the end, no one could beat Aleix’s time and finished on top, followed by Lorenzo, Marquez, Pedrosa and Rossi in the top 5.